"An aquarium without an octopus is like a plum pudding without plums," as the author quotes a Victorian naturalist. And I fully agree. 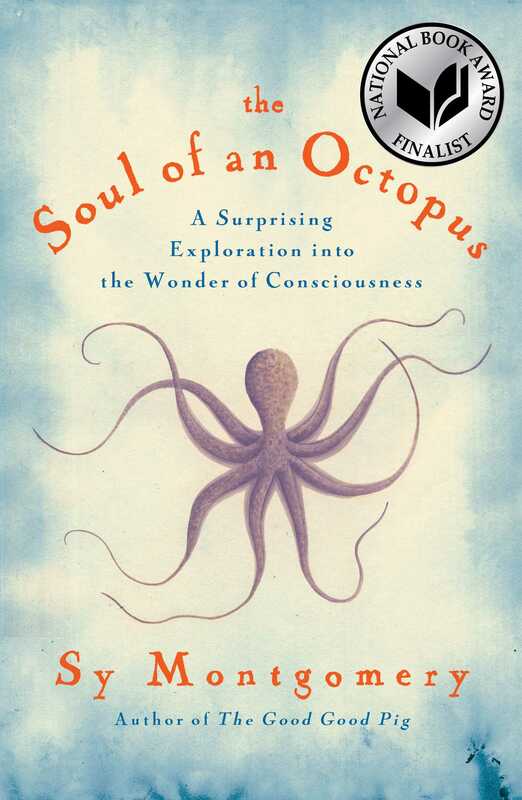 The Soul of an Octopus is a lovely chronicle, ranging from Seattle to Mo'orea but always returning to the New England Aquarium. The thoroughly researched text includes references from Tennyson to John Denver, but the voice is wholly the author's--intimate, personal. Her story is uncannily familiar to me. We both fell in love with octopuses at a public aquarium, began planning to keep our own (the globe-trotting Montgomery concluded "as great as a personal home octopus might be, it would be too risky for both the octopus and my marriage" while I, unwed and stationary at the age of 10, went on to keep several suckered pets during my school years), and eventually learned to scuba dive for the sole purpose of meeting octopuses in the wild. And now I want very much to visit the octopus church in Papetoai. I wonder if you can recommend more books about science, similar to the "Arrival of the fittest" from Andreas Wagner. I would like to know about more books like this, despite the ones we used for a more specific content in our fields ..
Hope you understand my english ..
Hi Gustavo, I haven't read Arrival of the Fittest but I can certainly recommend more science books like Montgomery's. Some of my favorite science authors are David Quammen, Natalie Angier, and Lewis Thomas--any of their books are a lovely place to start.